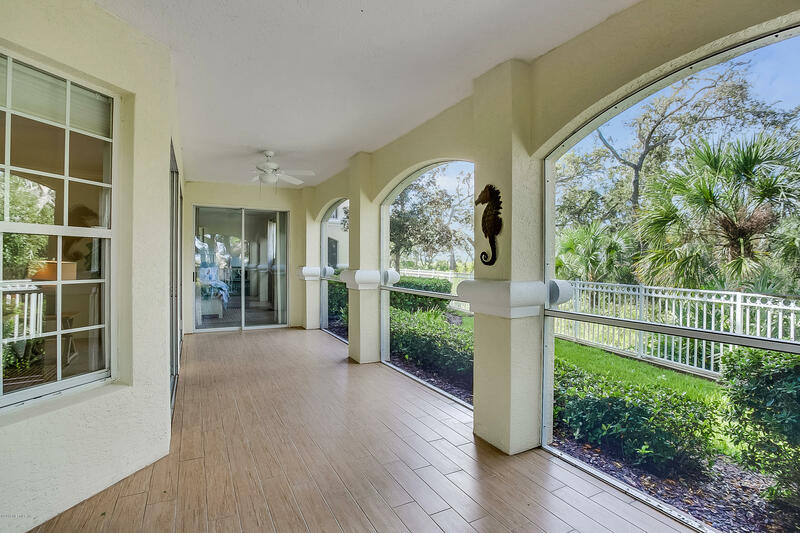 Picture yourself living in beautiful NE Florida, with a first floor corner unit sitting directly in front of a national preserve. Nestled among the beautiful old oak trees with dangling spanish moss. A view of the Intracoastal waterway allows you to watch the boats travel up and down the ICW or enjoy the beautiful wildlife in the preserve.This particular unit is extremely private due to the building's position. You see only the preserve and ICW from your lanai and most windows. This is a rare opportunity to pick up one of the coveted corner units in this magnificent community. SUNSETS! The beautiful screened in lanai with it's stainless steel built in gas grill was made to enjoy these special evenings. Of course, a lazy afternoon with a good book works well also.